One of the more common questions I get with families are whether children should have a little dog or not. 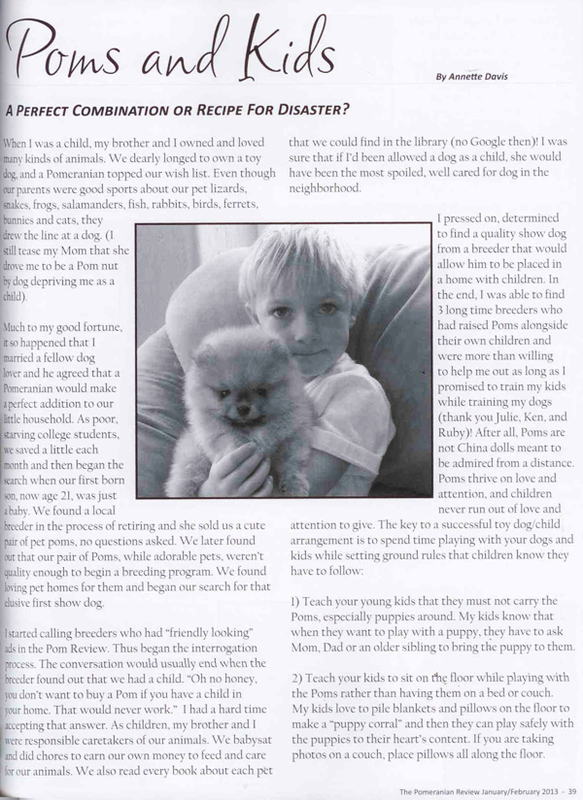 This article was written specifically for Pomeranians, but I find that it applies to little dogs in general. There are many rescues out there who will not place little dogs with children. I, in the right circumstances, do place in those homes. But, the combination has to be right and the family has to be open to my inputs. When I make a placement with a family with children I am carefully considering the dog's personality as well as the personality of the children, and the atmosphere in the home. A shy dog will not generally be placed in a loud home, as that level of commotion may not be best for the dog. A dominate dog will not generally be placed in a home with small children, as the dog can to easily become alpha dominate over the children causing issues.